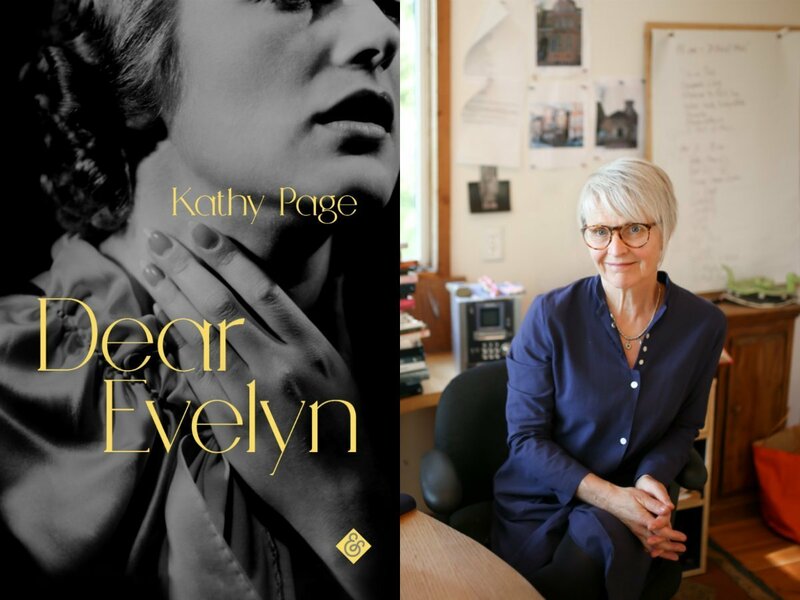 Last month CBC met with British-Canadian author Kathy Page to discuss the inspiration behind her latest novel Dear Evelyn. Dear Evelyn is published by Bibliosis in Canada and the US. Kathy Page‘s new historical novel, Dear Evelyn, tells the story of a husband and wife and their 70-year long marriage in England. Harry, a poetry lover, and Evelyn, the ambitious daughter of a drunk, get married shortly before Harry is deployed overseas during the Second World War. Over the course of their long lives together, small fissures begin to widen and crack the foundation of their uneasy marriage. Dear Evelyn is a finalist for the 2018 Rogers Writers’ Trust Fiction Prize. Below, Page talks about how her own parents’ relationship inspired this new novel. “I’ve been thinking about this book for at least 10 years, though I wasn’t writing it for 10 years. It started when my sisters and I, toward the end of my parents’ lives, were confronted by the reality of where their relationship ended up. It wasn’t pleasant or pretty or peaceful. They’d always been fairly argumentative, but it got very bad at the end. It was distressing and there was nothing we could do. “At the same time, mum was clearing out her attic. One of the things she wanted to give to one of us were my father’s love letters, written during the Second World War. They were very passionate, emotional letters. I was struck by the huge distance between this beginning and where things had ended up in 70-year-long marriage. You can read the rest of the CBC article here.